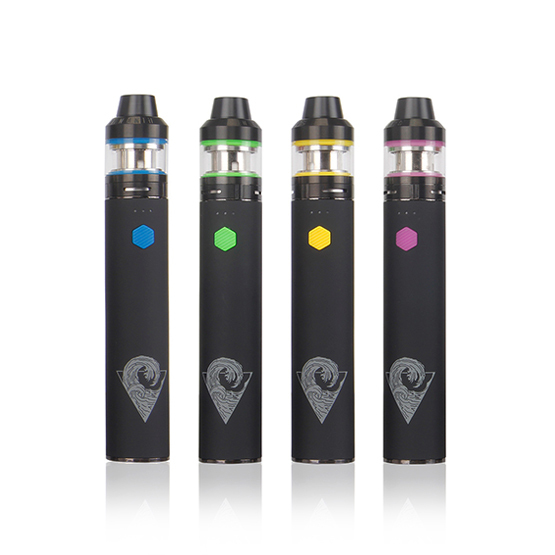 If you’d like some guidance for vaping with the Innokin RipTide Crios kit, please read the following instructions. If you have any questions at all, please do not hesitate to contact us. Your RipTide will indicate when the battery needs charging. If all 3 of the small LED lights are on the battery life is 31-100%, if there are only 2 lights it is between 11-30% and if 1 light is on you will need to recharge your kit. We recommend that you do not let you battery run empty and to charge your RipTide when 1 LED is showing. Plug the micro USB end into your kit and the USB end into a USB charging port to begin charging. Your battery is fully charged once all three blue LED’s are lit. Do not leave your battery unattended when charging and do not over charge. To fill your RipTide Crios tank, unscrew the top of the tank then pour e-liquid in, aiming down the side of the tank and avoiding the central chimney. Once you’ve done this, simply screw the top of the tank back on. If you’re filling the tank for the first time, or you’ve just replaced the coil, don’t forget you’ll need to leave the coil to prime before vaping. Once you begin to experience a deterioration in taste, it’s time to change the coil in your crios tank. First, unscrew the tank from the battery. Then all you need to do is unscrew the bottom of the tank. The coil should be screwed into the base, so you can simply unscrew and replace it, then screw the base back onto the rest of the tank. Don’t forget to leave your coil to prime before vaping. Dripping some e-liquid directly into the airflow holes in the coil before screwing the tank back together can help to speed up and improve the priming process.